Usually when we meet people for the first time, we first tell them our name and follow with what we do for a living or hobby. Sometimes the answer is “I’m an engineer”, or it could be “I’m a doctor” or “I’m a window cleaner”. If we have studied or have qualifications we are allowed to add professional or casual titles to our names. Even if you greet people with “I’m a rocket scientist”, they will give you the benefit of the doubt, but if you say “I’m an artist”, often people’s first thought is “Oh yeah, sure!”. It sometimes feels like it is a little arrogant and strange to call yourself an artist because you sort of have to prove it first. It’s as though it is a title that should be determined by other’s opinions and not your own. It is kind of similar for pastry chefs, and one must go through quite a few things to be called a pastry artist. 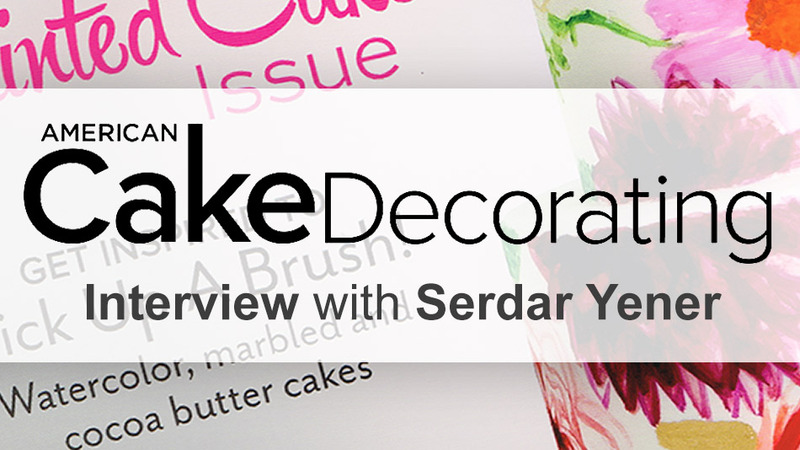 In this article I would like to express my thoughts on what it means to be a pastry artist with the hope to help some pastry chefs find a gate to a new place with a new title. There is a great demand for pastry chefs, and an even greater demand for pastry artists as there is a significant difference between the two. We all know how to become a pastry chef, and in my opinion the following issues are critical and worth considering in order to achieve a certain level of artistry. This is probably the most essential ingredient in the recipe. It lubricates every action and produces all the extra energy needed to complete that last painful part of an exercise. While most would say “no need” or “not necessary”, a person with enthusiasm will say “I will do the most I can”. If you have the willingness to achieve the title of ‘artist’, you must have an ample reservoir of this “oil” inside you. All art is copied from somewhere or something. The key here is to find the right thing to be copied. If an artist is painting a picture from their imagination, they are still copying from their mind or from their imagination. So the whole ‘art’ thing is really nothing more than copying something. Even the most original idea that we think came from nowhere, came from somewhere in our sub conscious, which is known to store every single bit of information it has ever come across in our lifetime. So even when we think we aren’t copying, we probably are. Of course it’s not ok to just plain copy someone else’s work but it’s ok to copy specific elements from different peoples work to make it your own. Today, with the internet, there is an almost infinite amount of information and material that is accessible to us to draw inspiration from. So put your special cake glasses on and look at the world around you while trying to visualise everything as if it were made out of chocolate and sugar. For me, the whole of life is a school, and we learn all the way to the end of it. You will never graduate from school unless you area good student. You have to develop yourself by filling your memory with as much information about pastry art beyond a teacher’s instructions. See what others do. See what magazines talk about. What is happening at another part of the world? Find yourself a mentor or two. Which country is famous for what products or designs? Who is well known as a pastry artist? What did they do? Can I also do that? Bring number one and two together to achieve number three. Some of us are content with what we do and resist doing it better while some of us are never satisfied with what we do and are constantly challenging ourselves. We must believe the reality of perfection is that we can only get closer to it but can never reach it. So always trying to do so, will always leave us dissatisfied with our efforts. Every time we try to make something perfect, we will fail because there is simply no answer to what is perfect. Thank God for that! It would be like knowing the exact time of your death. Imagine travelling until you find the wall of infinity, what will you find behind the wall? So if you want to be artist of any kind, never stop searching for perfection, and find your motivation and voice on this road of discovery. 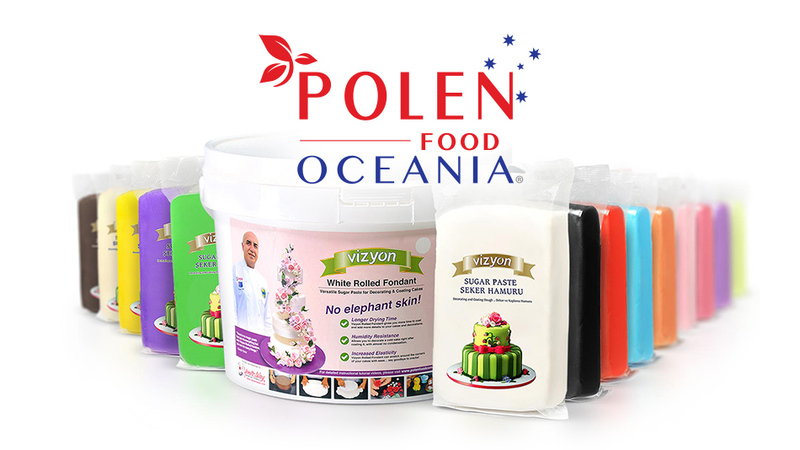 Pastry artists must practice in an economical sense and be employer friendly. You may not hold your job as a pastry chef if you try to be a pastry artist and take longer to produce a picture frame than the picture itself. For example..a Chinese brush painting artist can draw a gold fish in a matter of seconds, but is still highly recognised as an art. They have developed methods upon methods to be able to do it so well and so quick and they never stop asking the same question… “How can I do it faster and better?”. They must find an answer to this question every time. Todays technology renews itself at a very fast rate. Not only pastry chef’s/artists but every single profession must keep up with these constant changes in technology. It is important not to miss the train. Become involved with technology to try to find different and more innovative ways to do things to stand out from others. This means photography, graphic design, digital marketing and social media, web design and development, research, spreadsheets and so on. All these things can be useful for a pastry artist. Take some pastry art courses wherever possible. If you are unable to attend any classes due to economical or geographic limitations, there are plenty of online resources that are affordable and accessible to learn from and expand your knowledge. 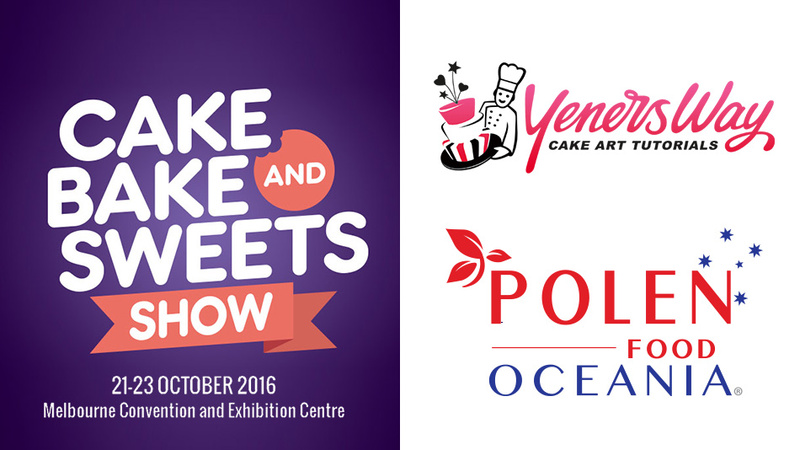 Now its time to prove yourself and find out if you are ready to be called a pastry artist. Competitions are the way to go. 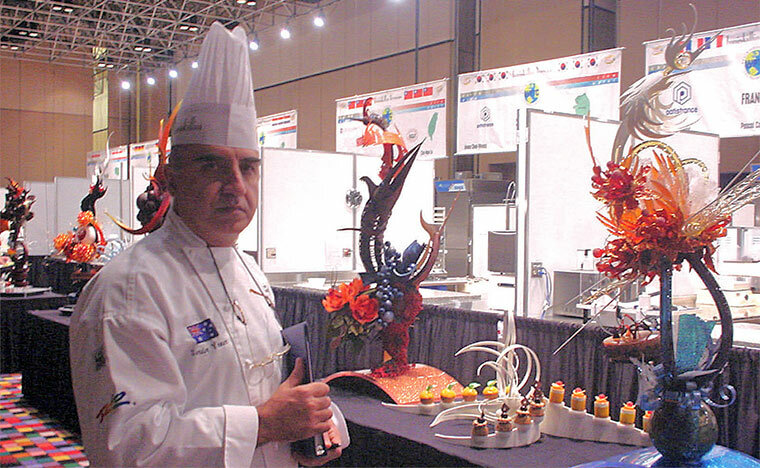 I competed in five international competitions and have won 15 gold medals, mostly with distinction, and have twice been awarded most outstanding pastry chef and artist. I also ended up judging those competitions, and it was during this time that I learnt the most. After every competition, your perception changes and you want to try it again and again. Each competition has to be taken as a serious project and you have to be a project manager. The main tasks of a project should be chopped into smaller actionable steps to be able to properly visualise and organise your available time and create a schedule for executing a detailed plan. This is why you learn self discipline, or else you will leave everything to the last minute and fail. 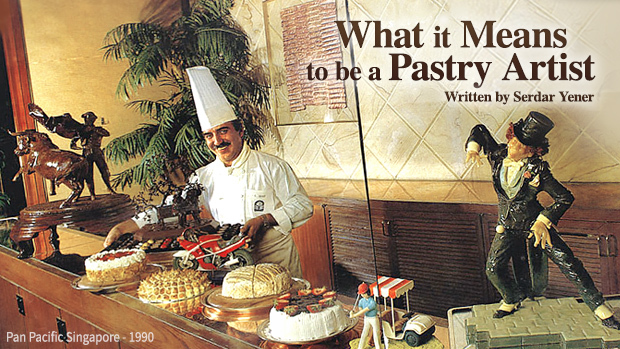 If you succeed in all those matters, you can be considered a pastry artist. If you also develop your artistic skills in parallel to productive professional knowledge, most probably you will be asked to lead other pastry chefs. Being a good leader starts from the point that you yourself become a mentor for others, at which point it is time to start teaching and encouraging people with what you have learned. This is all that I have done to be called a pastry ‘artist’. Thank you so much, I am 63 and just starting this journey. Your words of wisdom and videos inspire me. Unlike others you show how affordable the art can be by using everyday objects as tools. Please keep up the great work.